How I loathe that kind of novel which is about a lot of sisters. It is usually called They Were Seven, or Three-Not Out, and one spends one’s entire time trying to sort them all, and muttering, ‘Was it Isobel who drank, or Gertie? And which was it who ran away with the gigolo, Amy or Pauline? And which of their separate husbands was Lionel, Isobel’s or Amy’s? A woman at one of mother’s parties once said to me, ‘Do you like reading?’ which smote us all to silence, for how could one tell her that books are liking having a bath or sleeping, or eating bread – absolute necessities which one never thinks of in terms of appreciation. I might as well call it a day at this point, no? Unsurprisingly, The Brontës Went to Woolworths is about sisters, but there are only three of them and they couldn’t be easier to tell apart. Deidre, a journalist and aspiring novelist, is our narrator. Her older sister Katrine is an actress, and the third sister is Sheil, still in her childhood. The three sisters and their mother have the habit of making up stories. Nothing unusual so far, right? Only the stories they make up are often about real people – they have a series of ongoing jokes, a sort of family mythology really, in which they pretend to know intimately people they haven’t actually met. Among them is Judge Toddington, a high-court judge they often read about in the papers, and his wife, Lady Mildred. But when Deidre actually meets Lady Mildred and is invited to the Toddington’s home, the friends they have been imagining for years inevitably clash with the real friends they’re just starting to get to know. The Brontës Went to Woolworths is such a delight. It’s quirky and charming and unique, and it made me laugh out loud several times. I should probably give you a little bit of context: this novel was originally published in 1931, and has recently been reprinted as part of the Bloomsbury Group series of lost classics from the first half of the twentieth century (previously, it had been reprinted as a Virago Modern Classic). I had heard a lot about how funny this book was, but I confess that part of me wondered how much of the humour required knowledge of certain cultural references – a kind of knowledge that I lack. I needn’t have worried – there’s absolutely nothing about this book that is impenetrable. It’s very English, and possibly also very 30’s, but I never really felt lost. Part of its charm comes from the language, which is dated, but in a charming way. Most of it, however, comes from a cast of characters who are eccentric, witty, not afraid to be silly, and fun to spend time with. The world of The Brontës Went to Woolsworth is a world of writers, theatre people, and creative types. Rachel Ferguson was a first wave feminist, and it shows: this is also a world of smart, imaginative girls who are having too much fun to ever worry about Behaving Like Proper Ladies, much to the scandal of Sheil’s governess. Unfortunately, another thing that shows is her blatant class prejudice, which adds an ugly streak to an otherwise flawless novel. I loved this book for what it said about storytelling, the role of the imagination, and the clash between actual people and our idealized images of them. But most of all, I loved it for the family dynamics: there’s such tenderness and real affection between the three sisters and their mother. And the way this affection is conveyed is both heartwarming and completely unsentimental. And where do the Brontës come in? you ask. Well, I can’t tell you everything, but it involves a holiday in Yorkshire, eerie happenings in All Souls’ Eve, and new additions to the family mythology. If you’re curious, I strongly recommend that you pick up this book and find out for yourself. I adore the autumn and all its smells, and the schoolroom would soon be dark enough to be lit for tea. This October was doing and being all the right things: warm as a June night, and full of subdued colour. I wonder, if I were dead and allowed to return once a year, whether I should like best to look in at windows I knew and see the living having fun and playing games, or whether I should feel less forgotten if they were sitting there being sad about me? All Souls’ Eve should never have been put into November, because of the chilly doubts in the hearts of the dead. They should have been allowed to come to us in high summer, when the air is still, and smelling of hot grass and sweet peas, and the moon is large and bland. You can read the first chapter of The Brontës Went to Woolworths here. Ack! No! This can't continue. Look, do you think you would mind terribly just not reviewing any more books until I have read all the currently unread books in my house and also come into a large sum of money? It would help me so much in exercising proper restraint. 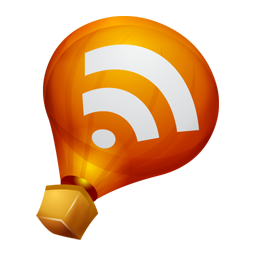 This sounds so fun -- and I love the quotes you pulled! Very imaginative and, it seems, engrossing. I love all things English and the title had me right away... great review! Can't wait to track this one down! I love the quote about whether they like books. That did make me laugh. Knowing how much I have enjoyed your choices, I shall definitely add this to my TBR list. I forgive you for the sad bit in The Knife of Never Letting Go though (LOL). Remember the days whe Woolworths used to be open? Ah the good old days! Jenny: I'm so sorry! Would it be horrible of me to say that the book actually reminded me of you? Something about the tone, and it also reminded me of the way you write about your family sometimes. JoAnn: I actually like the title - it's so unusual! And it suits the book! Vivienne: lol, I'm glad you forgive me! You're not alone in having teared up, btw. You know, until someone mentioned it the other day, I didn't even know Woolworths had closed! We never had it here, but I remember it well from my time in the UK - it seemed like one of those companies that would always be there. This sounds great! I really wish you would stop reviewing such interesting books! You're stretching my get-this list to the limits! I have to disagree with JoAnn too: I love the title! Last year, I intentionally went into Oxfam books to look for a copy of the Virago Modern Classic edition (quite rare and, at that time, quite pricey) and found it within seconds for £2.49. I shall treasure it always. It is an enchanting read and one I intend to reread soon as I am sure there are quirky, literary things I missed first time around. If this is anything as wonderful as Cold Comfort Farm by Stella Gibbons (another funny '30s British novel), I've got to try it! Oh this looks good. Not good for my tbr, but I definitely need to read this. For some reason I can't pinpoint, I just love the cover! The book sounds delightful - I love the quotes you included in your review. It sounds very quirky and unique. Tell me, where do you find all of these great books? This looks like an incredibly funny book, and I can tell just from the excerpts that I would love this one. I put it on my wish list, but am a bit bummed to hear it won't be released until next year. Excellent review, I'll be looking forward to this book. This sounds awesome. Thanks for reviewing it--I would have thought it was actually about the Bronte sisters, what with the plethora of spin-offs of classics lately. So, I think I've listened to every Fanfarlo song there is on youtube as I can't find them on my torrent site. Seems like it's time to make my way out to the music store! Thanks again for posting it! I was totally picturing a biographical novel about the Bronte sisters! It sounds like an interesting read, and I'm intrigued by the fact it is a "lost classic". What a great backstory. Oh my goodness, I know exactly what the narrator is talking about when reading books with all those bloody sisters running about and trying to keep characters straight! Who hasn't read one of those? Oh, I am charmed. I'm off to find this one on paperbackswap.com. wow, a lost classic, sounds charming!! Amy: I hope you enjoy it too! Sandy: So am I, so I feel your pain! Fingers crossed that the library does carry it. Debi: You read awesome books I've never heard of too, you know! Bella: Me too! I love all the Bloomsbury group covers. Zibilee: I'm so sorry! I bought the UK edition and didn't realize it hadn't been released in the US yet. Chris: Aww, that's very sweet of you! The Bloomsbury Group covers are all so beautiful! Melody: Yep...I found them hard to resist :P Good thing the content is good too, or else I'd have been really disappointed! She: You're welcome! I hope you find the album! It was released just a few months ago if I'm not mistaken. They are so awesome. Kim L: I love how more and more lost classics are being republished - it's such a good idea. I've never heard of this before, and it sounds like quite a find. Now it's on my list of books to search out once both my colleges have started. This book is on my reading list! I loved your review and I can't wait to read the book! From 1931?! Wow! I must read it! I love the word 'smote'. Another great book and another great review! I'd never heard of this one, but I definitely want to read it. Thanks! Great title; and even before you mentioned that it was published in 1931, I was thinking, "This sounds like something along the lines of Cold Comfort Farm or Miss Pettigrew Lives for a Day." I loved those books! I will definitely have to check this one out... um, as soon as I get my TBR pile under control. Heh. I keep hearing about this book and it sounds like just my cup of tea. 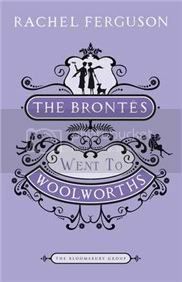 How sad that Woolworths is now just as (well you know a bit as) historical as the Brontes. Jeanne: It was definitely a great find :) I hope you enjoy it too! S. Krishna: I hope you enjoy it as much as I did! heidenkind: Cold Comfort Farm is on my tbr list, and I must get Miss Pettigrew! Jodie: Sorry to hear it closed! I'm thinking I would ADORE this! I totally agree with the opening paragraph! If there is more than three main characters I always have trouble keeping them seperate in my mind. I might give this one a read just for when it was published. There's just something about (a good majority of) books written before the 50's that I love. The imagery from the second paragraph is really beautiful too.